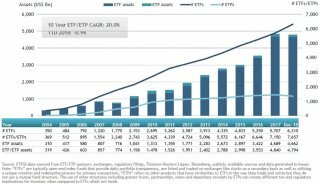 ETFGI reported that ETFs and ETPs listed globally gathered net inflows of US$76.24 Bn during December. 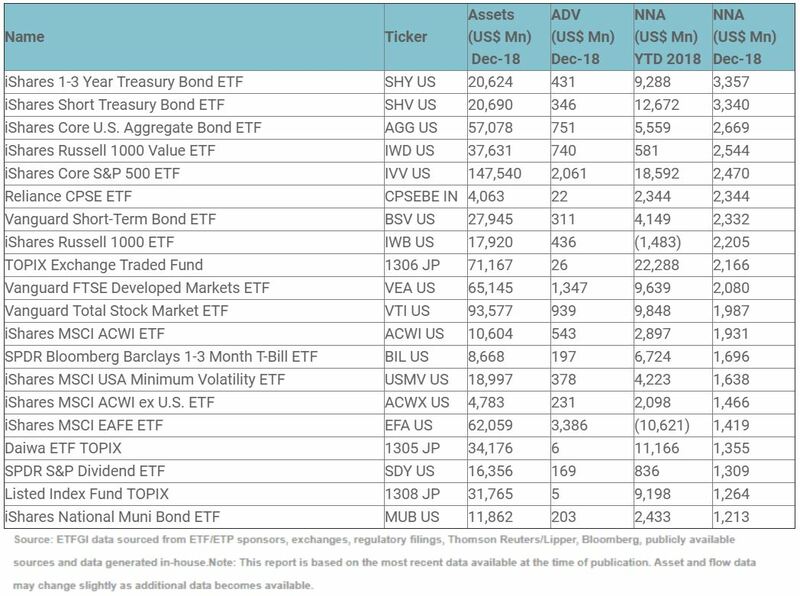 Despite the turmoil witnessed in developed markets during December, ETFs and ETPs listed globally attracted the 2nd highest net inflow on record, rivalled only by January 2018, which saw inflows of US$105.70 Bn. 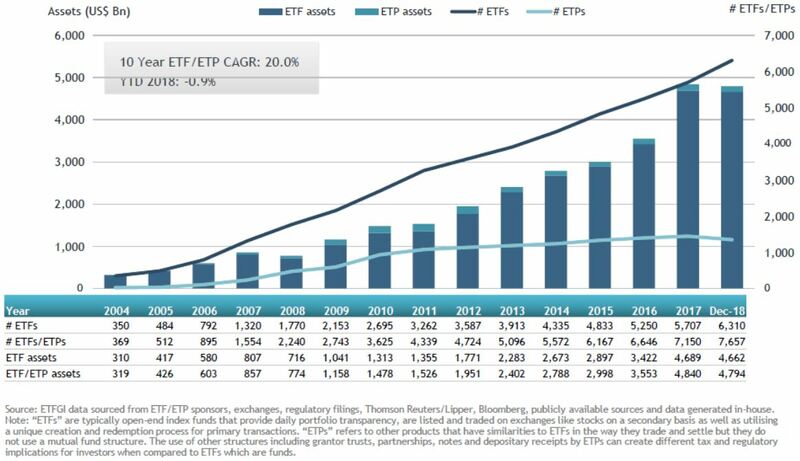 Total Assets invested in the global ETF and ETP industry fell 5.28% by the end of December, from US$5.06 Tn at the end of November, to US$4.79 Tn, according to ETFGI’s December 2018 Global ETF and ETP industry landscape insights report, an annual paid-for research subscription service. Equity ETFs/ETPs listed globally attracted net inflows of $50.87 Bn in December, growing net inflows for 2018 to $362 Bn, less than the $471 Bn in net inflows seen by equity-based products during 2017. 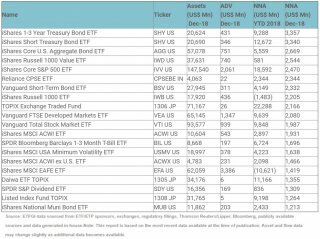 Fixed Income ETFs and ETPs listed globally saw net inflows of $21.17 Bn in December, bringing net inflows for 2018 to $107 Bn, less than the $142 Bn seen during 2017.